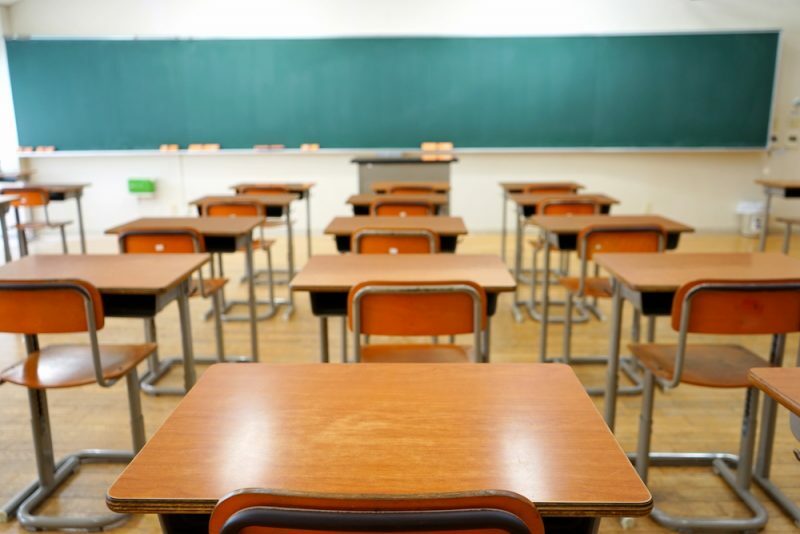 Washington state parents and advocates filed a lawsuit this month against the Kent School District and its board of directors, alleging numerous infractions, including breaking open meeting laws and fiscal mismanagement of school system funds. “Kent School District is in financial peril, operating paycheck to paycheck hoping for additional McCleary money to ‘solve’ their problems. Under the leadership of the Kent School Board and Superintendent … the financial stability of the district has further deteriorated,” the legal document stated. After filing multiple complaints with the attorney general, sending grievances to the school board and waiting for an audit that never materialized, a notice of appeal was filed with the Superior Court of Washington/King County by plaintiffs, Michele and Shawn Bettinger, parents of students who attend schools in the district. “All I ask is that my elected officials look at facts, data and evidence that is mounting against their sole employee,” Mrs. Bettinger said. That employee — Calvin Watts, PhD — was hired by the district in 2015. Since that time, some advocates say he has made some “carbon copy” decisions that mirror those of Baltimore County, which some advocates have been following for nearly a year and half. Mr. Watts did not respond to The Baltimore Post’s request last week for interview or comment. Among the school systems’ similarities are superintendents who worked as consultants for controversial education consulting firms, SUPES Academy and the Education Research and Development Institute (ERDI). Both graduated from the SUPES Academy Richmond cohort, two years apart. Both districts also have connections to Digital Promise, League of Innovative Schools and professional development company, Modern Teacher, whose founder also created the National Center for Digital Convergence (NCDC). Watts, and at least two Baltimore County Public Schools (BCPS) employees have had positions on the NCDC’s advisory board. BCPS’s executive director for the Department of Innovative Learning, Ryan Imbriale and his wife, director of Enterprise Applications, Jeanne Imbriale, disclosed the positions on their financial disclosure statements, documents obtained by The Baltimore Post. Some Kent School advocates say they see the relationship between their school district having a Modern Teacher connection, and a superintendent that served on the NCDS’s advisory board, as a clear conflict of interest. Baltimore County schools has paid out over $1 million to the vendor, which goes by eSchool and various other names, records obtained through a Maryland Public Information Act show. Books by Modern Teacher are required reading for Kent Schools administrators, according to advocates there. Along with the questionable vendor relations, Mrs. Bettinger said that, with the addition of the Broad Academy where Watts received his superintendent training, that the school system lacks any “evidence that (those companies) bring any type of positivity to our school districts. I’m not finding a lot of logic and reason in what is happening in our school districts,” she said. Smith also noted that school systems are behind the eight ball in catching up with venture capitalists who see public education as a lucrative industry. He said, controls and checks need to catch up with the vulnerability that can sometimes result in kickbacks, preferential treatments of vendors and a lack of arms-length transactions. 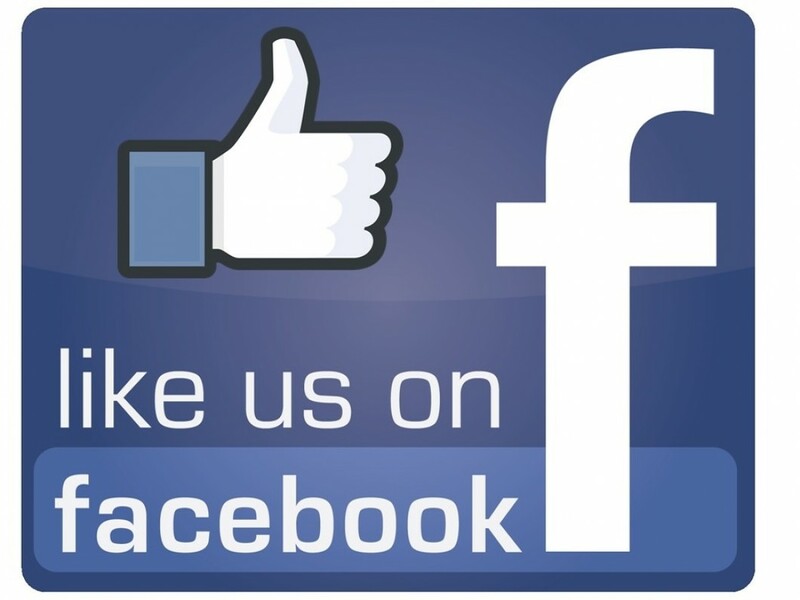 “This is an extremely lucrative market. There are billions of dollars,” Smith said. And school systems “have not yet built up resistances” by putting “controls in place.” Smith said that in Washington State, one of the vulnerabilities is a severe lack of internal auditors to be a check on school systems’ fiscal decision-making. While the Kent School District is about 20 percent the size of Baltimore County’s 113,000 student population — at roughly 24,000 students — the systems have striking similarities. Both counties are diverse, with over one hundred languages spoken in each district. Both districts have also been criticized for a focus on awarding sole source contracts for some of the same technology vendors, where the districts either piggyback on other districts’ negotiated contracts or bypass the bidding process based on the uniqueness of a product or service that is unmatched by another vendor. Mrs. Bettinger, who filed the lawsuit, said that parents say some companies’ software used for the district’s laptop-for-every student technology program has some students in tears. “Kindergartners are sobbing their way through iReady testing. My heart just hurts for them,” Bettinger said. Another advocate said that some teachers call the program “e-trash” and are frustrated with how it is frustrating their students. Kent Schools even adopted a version of Baltimore County’s Blueprint 2. 0 Strategic Plan, using the same language and goals used by former Baltimore County Public Schools’ (BCPS) Superintendent Dallas Dance, Ph.D, who left BCPS in 2017 amid a criminal investigation. Dance was convicted on perjury charges last year for failing to disclose on legal forms, income he earned while moonlighting for SUPES Academy, ERDI, as well as other organizations and school districts. 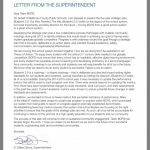 Letters written by Dance and Watts to their respective school systems in 2015, for example, also hold a striking resemblance where each superintendent introduced his “Blueprint” plan. The wording is almost identical in portions of their letters. 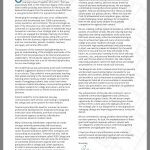 “Dear TEAM KSD, On behalf of the Kent School District, I am pleased to present the five-year strategic plan, Blueprint Learning Forward…” said Watts, in a letter to his school district. 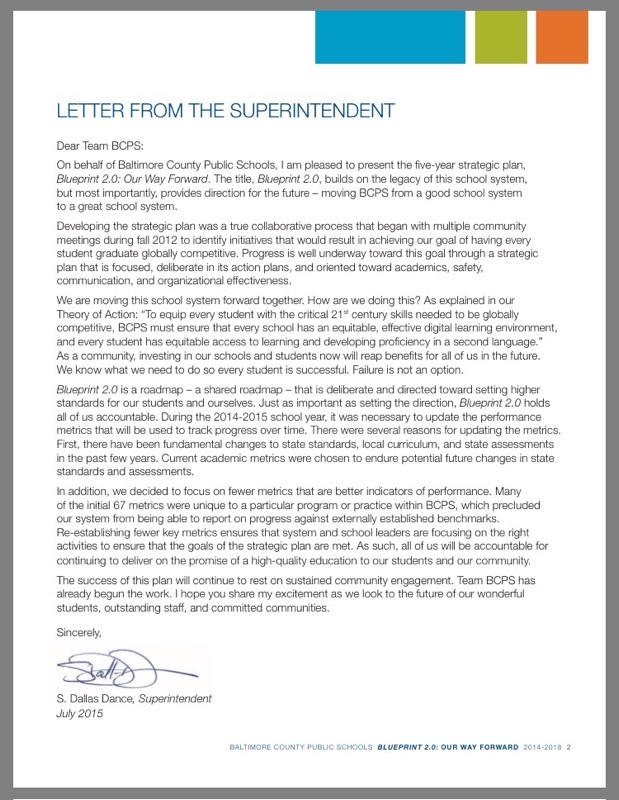 “Dear Team BCPS, On behalf of the Baltimore County Public Schools, I am pleased to present the five-year strategic plan, Blueprint 2.0, Our Way Forward…” said Dance to his district. The districts’ conversion plans, used for their technology programs also hold a striking resemblance. Watts’ predecessor began the program, but he is expanding it. Dance announced his laptop-for-every-student program called STAT, for Students and Teachers Accessing Tomorrow, to BCPS in 2013. To date, Baltimore County has spent or committed roughly $300 million in hardware costs alone. But Kent advocates have had enough of the free-fall spending and budget shortfalls, filing the case to force the district to slow down and be accountable for its spending and decision-making. The Bettingers filed suit on March 7 for a fee of $240 after they and other advocates exhausted all other options to compel the school system, through multiple means, to look into questionable contracts and financial decisions. “The school board acts like it is an employee of the superintendent,” Bettinger said. A community member then set up a GoFundMe page to help pay for the filing fee. When the contributions quickly exceeded the goal to repay the Bettingers, the extra money went to buy food for students at the district’s most vulnerable school, iGrad, which aims to help struggling students graduate. But the school system does not provide the students any meals during the school day. Other symptoms of budget problems have reared their heads at Kent. Due to a purported $7 million budget shortfall in September 2017, the district’s teachers association even held a drive for toilet paper and other paper product donations. Transparency is also an issue advocates say leaves much to be desired. After a meeting was arranged to meet with Watts to address some of of grievances per district policy, he was a no-show. But he sent other employees to meet with advocates in his place. A Freedom of Information Act request would later reveal that the meeting was not even on his calendar, advocates say. Last week, the media and community members were locked out of a public school board meeting. And it wasn’t the first time. Among Mrs. Bettinger’s other complaints in her suit against the district is that Watts’s idea of “equity and excellence” is coming at the peril of students’ learning. (Dance said ‘equity’ was the driving force behind his STAT program.) And diminished resources, Mrs. Bettinger said, has resulted in the loss of district’s dual language program at some schools. Additionally, students are frustrated by sitting on computers all day, are acting out, increasing violence in the schools. Also disappointing, Mrs. Bettinger said that she feels the “gatekeepers” such as the state superintendent, the attorney general and an area education oversight entity have failed her community. “Every gatekeeper could have stepped in,” she said. But, “at every step of the way, the gatekeepers have failed us.” And, she said, the school board acts like a “dog with a bone,” when it comes to its allegiance to the superintendent. But parent and advocate, Dana Rosenberg, said getting the community to wake up to what is happening in the school district has been the hardest feat of all. “You feel like you are shouting from the rooftops,” she said. “It is taking the community a long time to pay attention.” And, she said, the administrators of the school district have gone as far as monitoring social media, admonishing outspoken teachers and advocates, making it difficult to get the message across. “The school district paints those who are outspoken as ‘lunatics,'” she said. Rosenberg credits superintendent training programs for the tone-deafness.